Imagine discovering an ancient city under what you’d always thought to just be a wasteland of rubble and volcanic ash. Essentially, that was what the discovery of the city of Pompeii was like. But how was a prosperous and populated city just destroyed? The eruption of Mount Vesuvius in A.D. 79 led to the decline of Pompeii, destroying any trace of life. 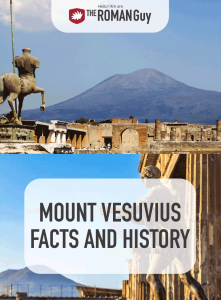 In this guide, discover the history surrounding this famous volcano, as well as interesting Mount Vesuvius facts. 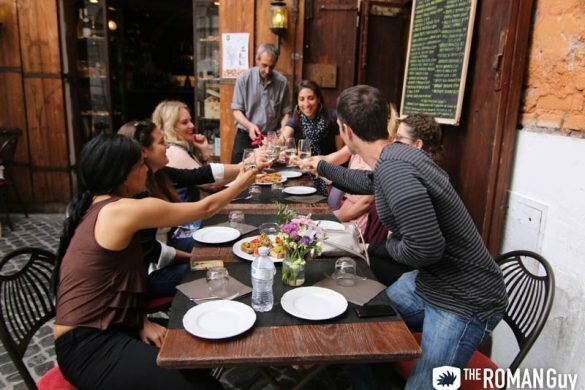 Discover an ancient city frozen in time on our Day Trip from Rome to Pompeii. 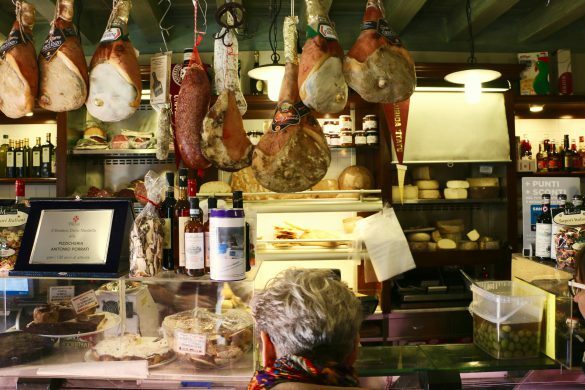 Uncover the city that was underground for more than 1,500 years and visit the beautiful town of Sorrento. Located in the Gulf of Pompeii, Mount Vesuvius is a stratovolcano most famous for its eruption in A.D. 79, which destroyed the cities of Pompeii and Herculaneum. In the last 17,000 years, the volcano has had eight major eruptions. The eruption in A.D. 79 killed more than 16,000 people, spewing lava and ash over the local towns. 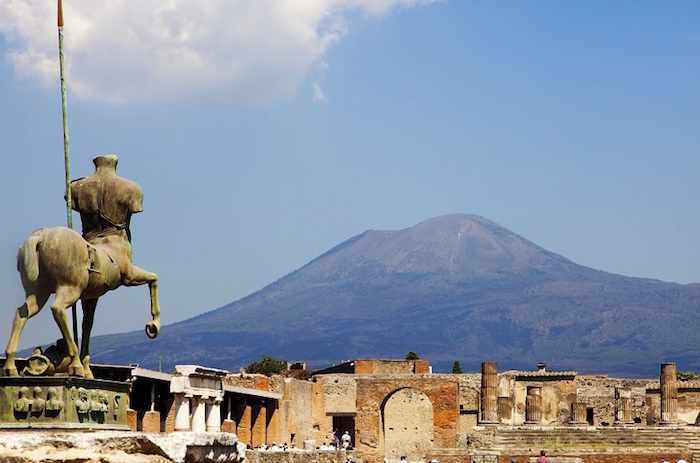 Why is Mount Vesuvius famous? Though the A.D. 79 eruption killed tens of thousands of people, the towns it destroyed can still be uncovered today in remarkable detail. Though it was thousands of years ago, the eruption volcanic ash was able to cover up bodies and artifacts during the disaster, acting as a shield of sorts. Ironically, the thing that led to the death of so many is what keeps their stories alive today. 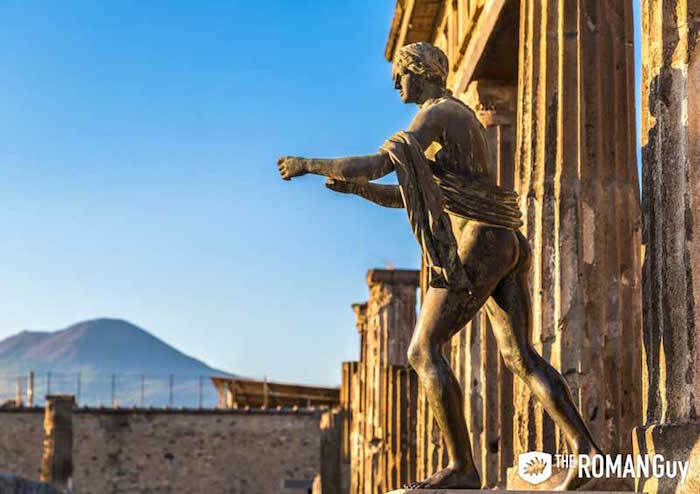 When you visit Pompeii, you can see bodies, faces, clothing and other artifacts preserved from the day of Mount Vesuvius’s tragic eruption. Is Mount Vesuvius active? Yes. Read on to learn more. Mount Vesuvius formed due to the collision of the Eurasian and African tectonic plates, roughly around 25,000 years ago. Though several eruptions occurred prior to A.D. 79, this eruption is widely considered one of the most catastrophic volcanic eruptions of all time. In A.D. 62, a powerful earthquake destroyed a great deal of the Bay of Naples area, Pompeii included. Much of the destruction has not even been repaired, come the 79 eruption. The events of the 79 eruption are famously recounted by Pliny the Younger in two letters written to another historian named Tacitus. Combined with geological evidence, much of the information we have now about Mount Vesuvius and its 79 eruption is thanks to Pliny the Younger, the only surviving eyewitness account of these events. In the letters, Pliny the Younger describes the last days of Pliny the Elder, his uncle. 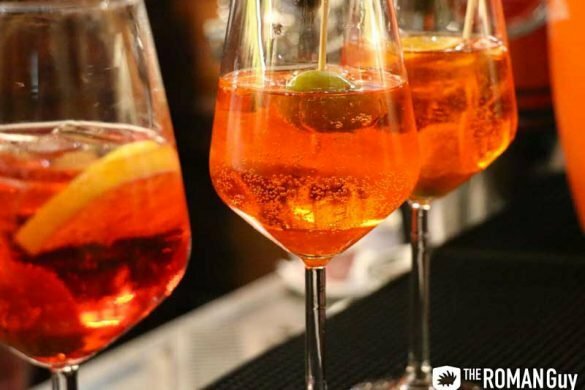 As Pliny the Younger writes, Pliny the Elder noticed early volcanic activity occurring across the Bay of Naples and organized a rescue mission. He describes how his uncle died due to a mass of sulphurous gas. Geologists believe there were three significant Mount Vesuvius eruptions prior to the one in A.D. 79, most famously one in 1800 B.C., which engulfed a number of Bronze Age settlements. Until about 1631, geologists and historians believe the volcano erupted about a dozen times, with varying severity. In 1631, however, the volcano entered a period of frequent volcanic activity. From 1631 to the end of the nineteenth century, Mount Vesuvius erupted fifteen times, most violently in 1872. The most recent eruption occurred in 1944. Could Mount Vesuvius Erupt Again? Yes, Mount Vesuvius is considered an active volcano. It very well could erupt again. Mount Vesuvius sits on top of an extremely deep layer of magma that goes 154 miles into the earth. So, the next Mount Vesuvius eruption will happen, and it won’t be pretty. Geologists think that the volcano is overdue for an eruption. 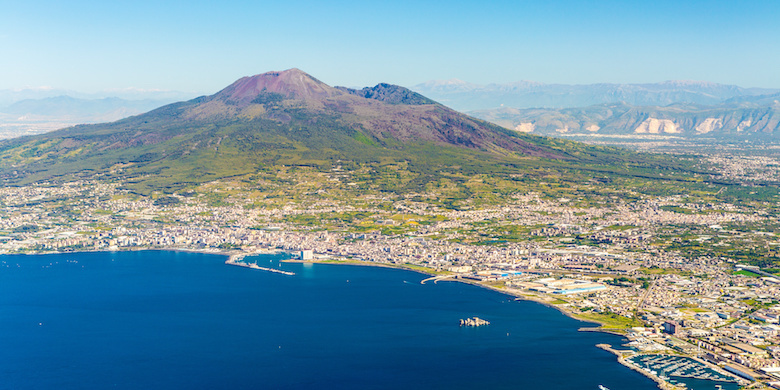 Luckily, the Vesuvius Observatory is constantly monitoring the volcano’s seismic activity. So, if it were to happen again, the local communities would have more warning and would have enough time to evacuate.